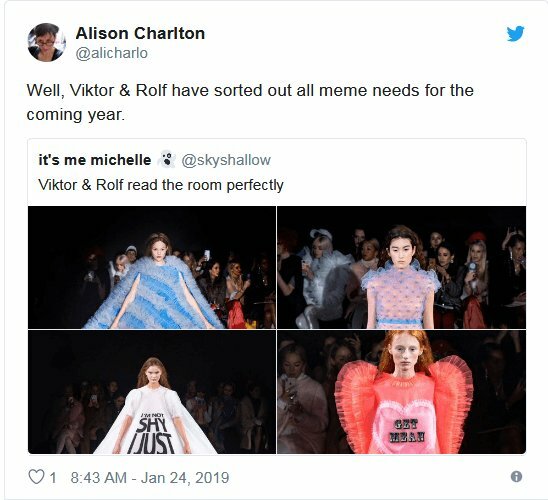 Viktor&Rolf's New Collection Made This Paris Fashion Week With Perfect Sassy Statements That Went Viral – I Found My Perfect Dress! 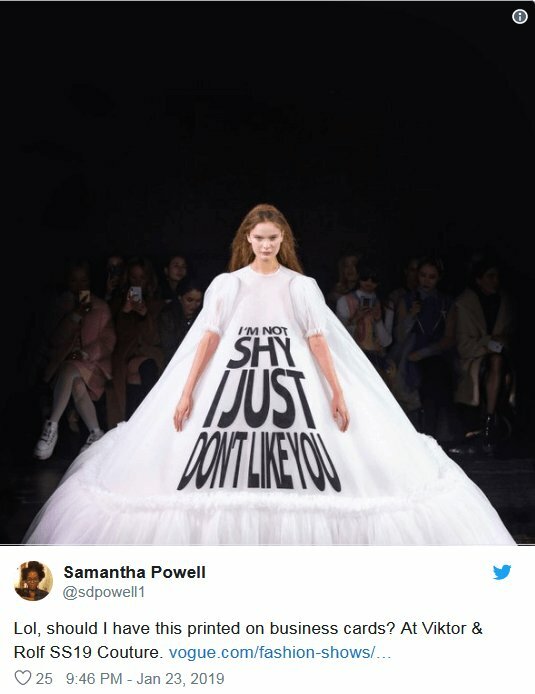 The Dutch fashion house’s show featured gowns bearing messages like, “NO PHOTOS PLEASE” and “I’M NOT SHY I JUST DON’T LIKE YOU” during couture week in Paris and the gowns vent viral. 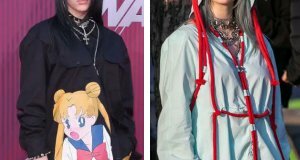 Keep on reading Nexter.org to see all of them! 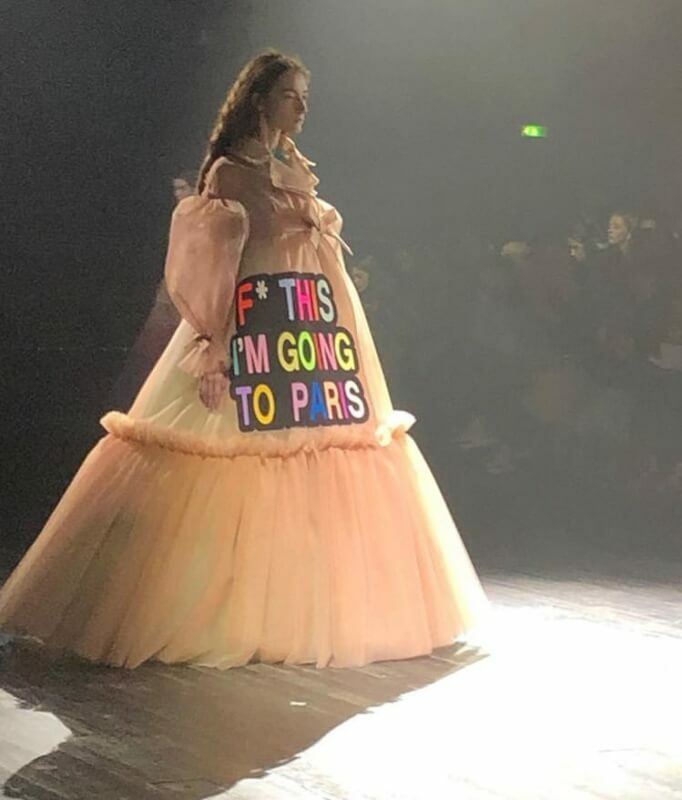 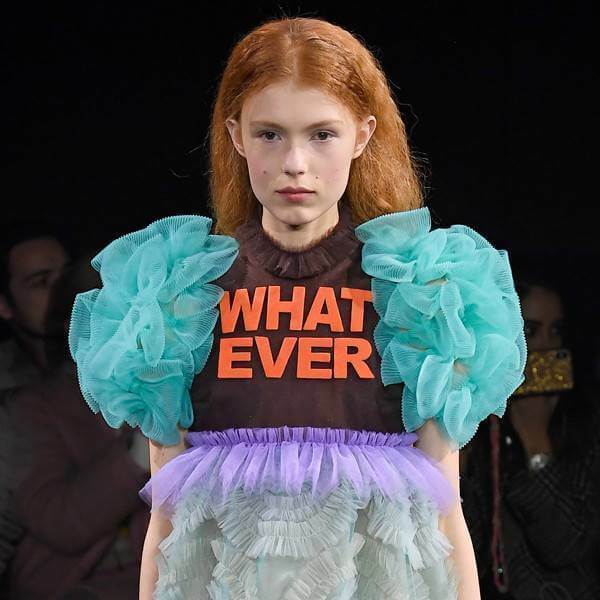 On Wednesday, designers Viktor Horsting and Rolf Snoeren presented 34 gowns covered in a slew of phrases and graphics to satisfyingly feed our meme-hungry appetites. 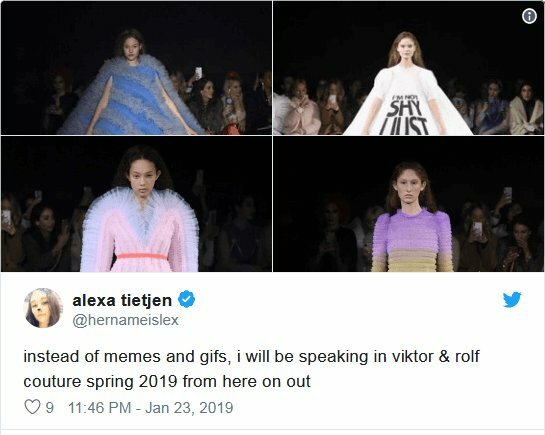 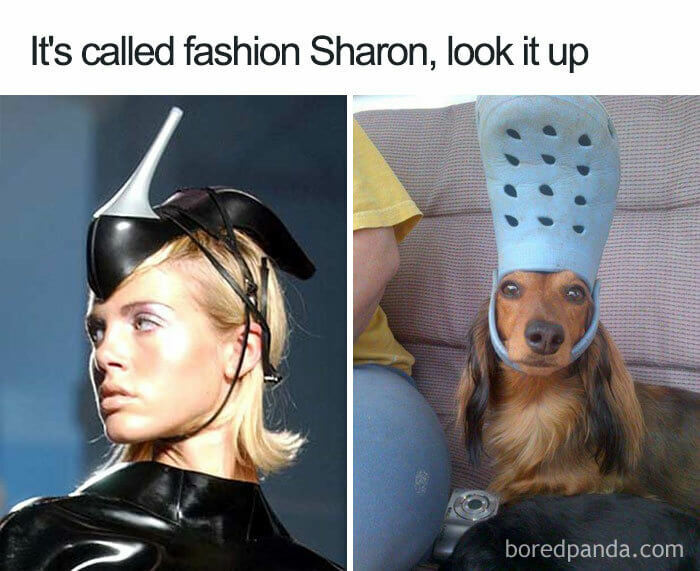 And what fashion loves most are some juicy, spicy memes! 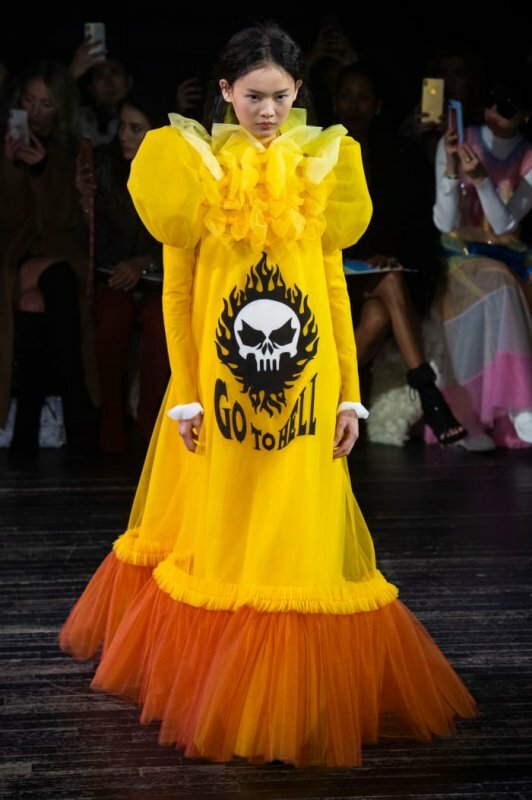 The duo are no strangers to leaving a lasting impression on the runway. 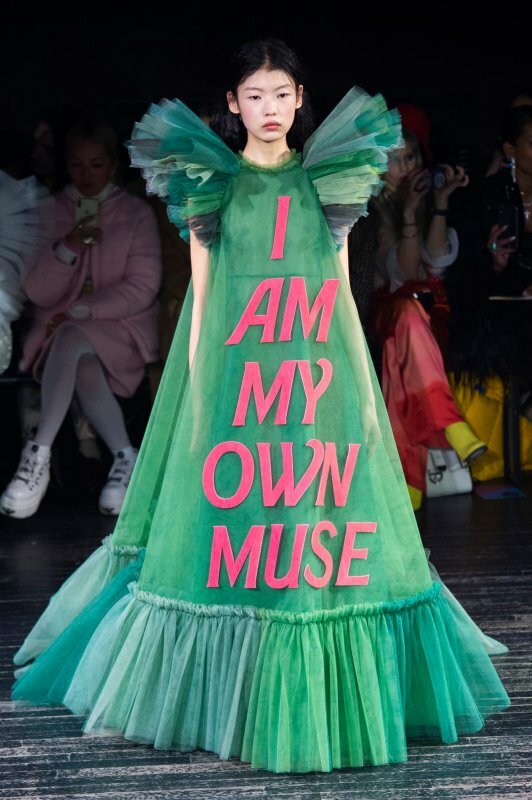 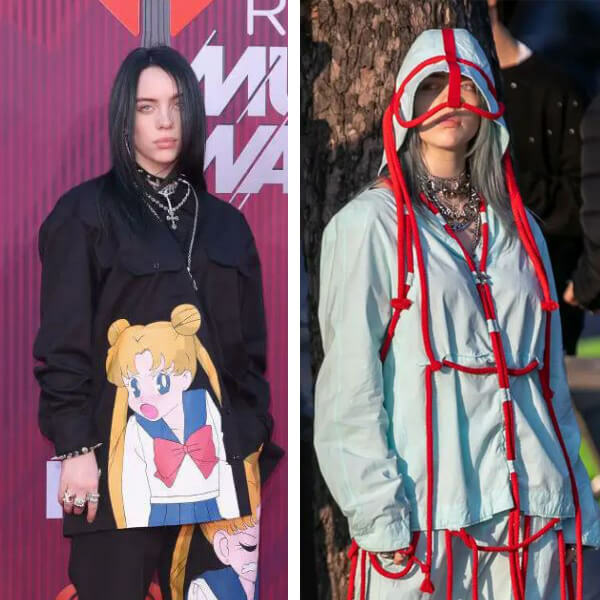 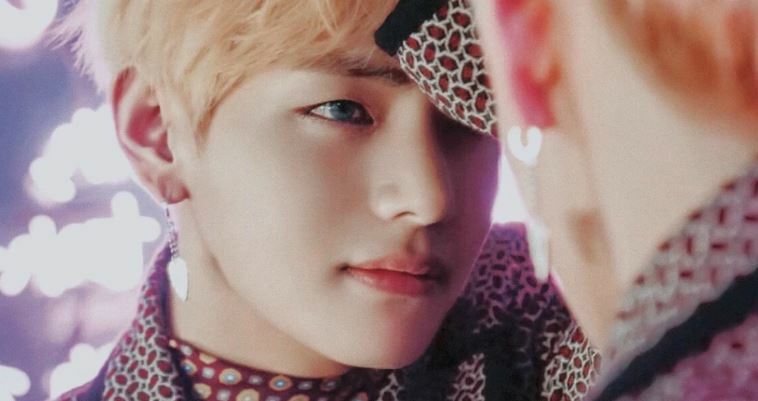 There was the literal “fashion as art” couture show back in 2015, the models wearing doll-like masks from 2017 and the memorable “bed-dress,” famously worn by Tilda Swinton in Harper’s Bazaar. 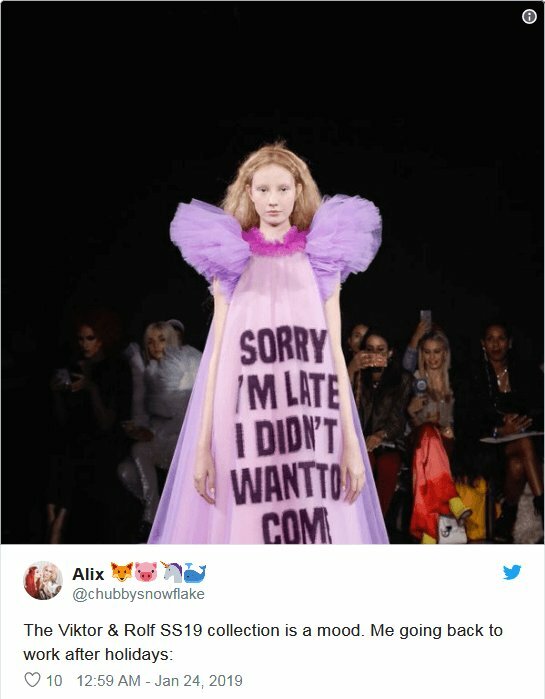 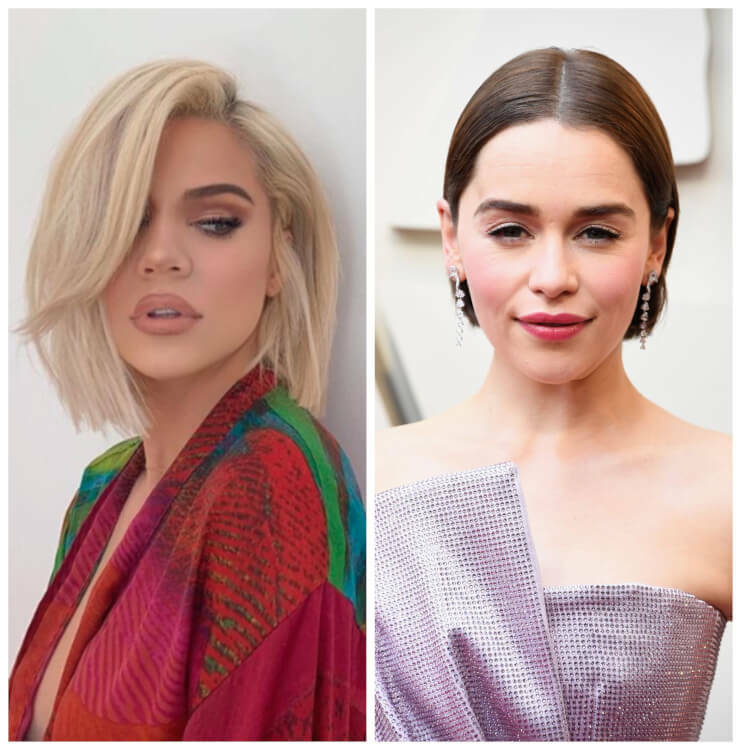 Clearly, the designers tried to create the same magic with their latest offering, and chances are we’ll be seeing these Spring 2019 gowns all over our timeline because most of them are so damn relatable. 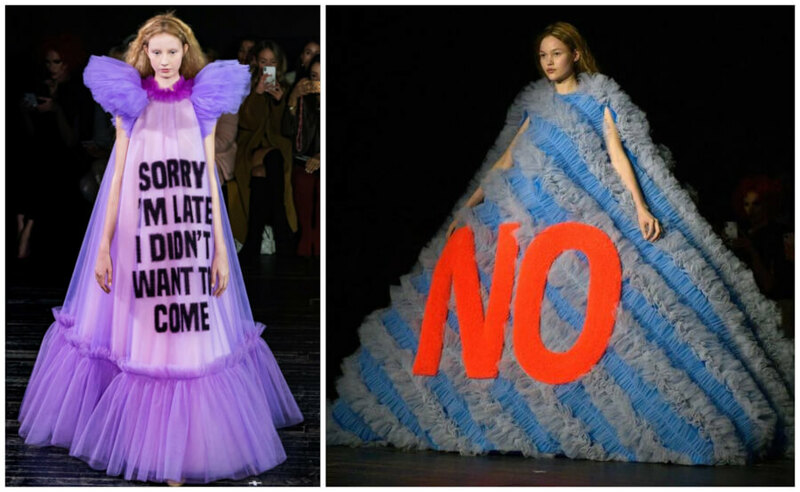 These included “NO”, “Sorry I’m late. 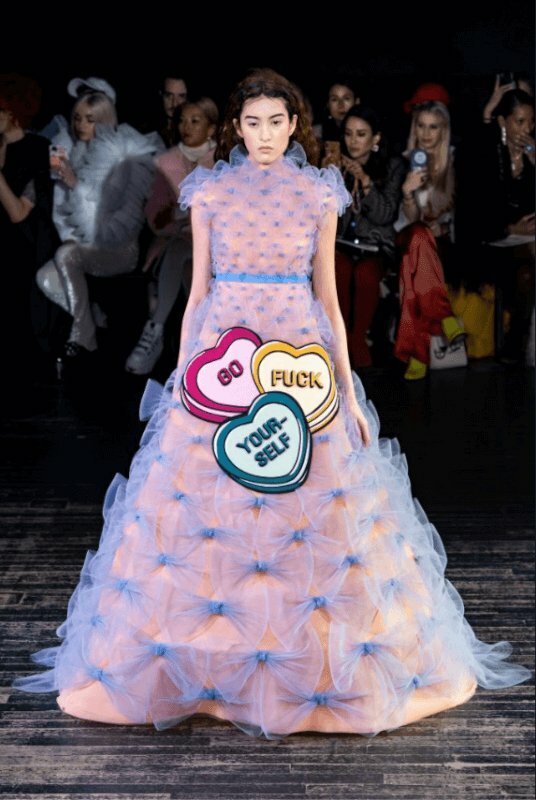 I didn’t want to come” and “Give a damn” among others. 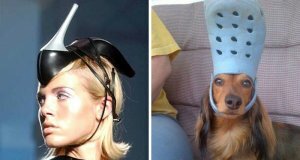 The photos of the outfits quickly went viral on Twitter and Instagram and women around the world loved it. 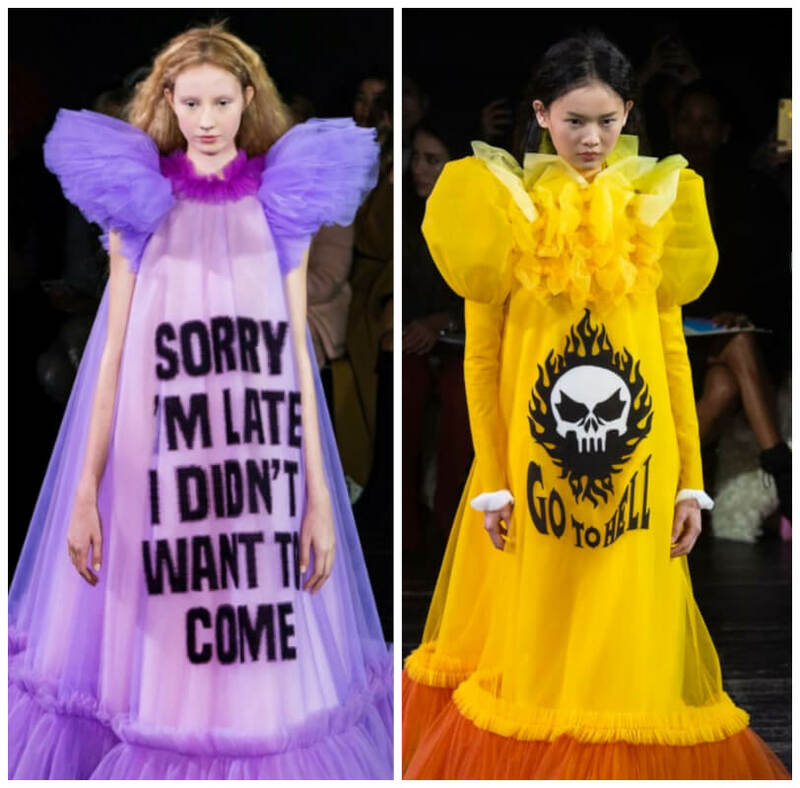 While many asked where they could buy these dresses that seemed to have read their minds, at least one person thought these could replace memes and gifs. 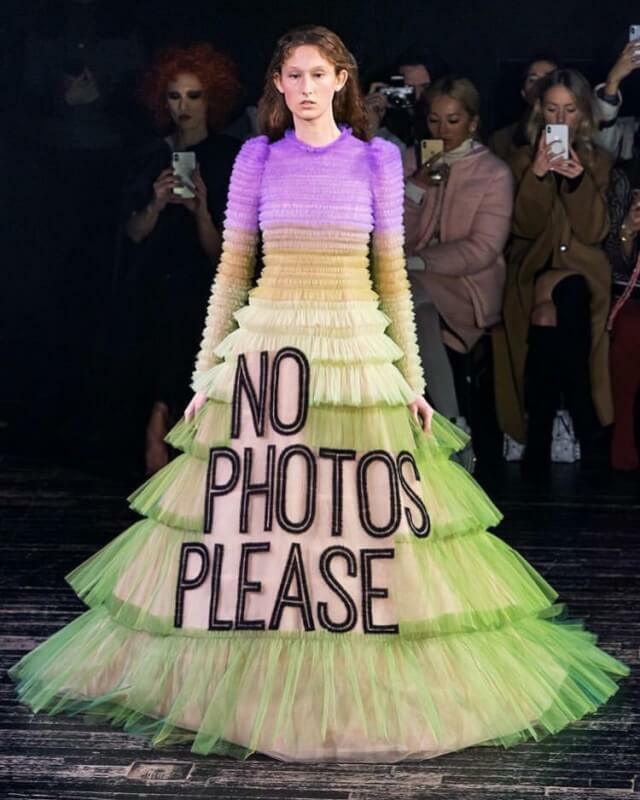 See some more Viktor & Rolf Spring 2019 couture collection below. 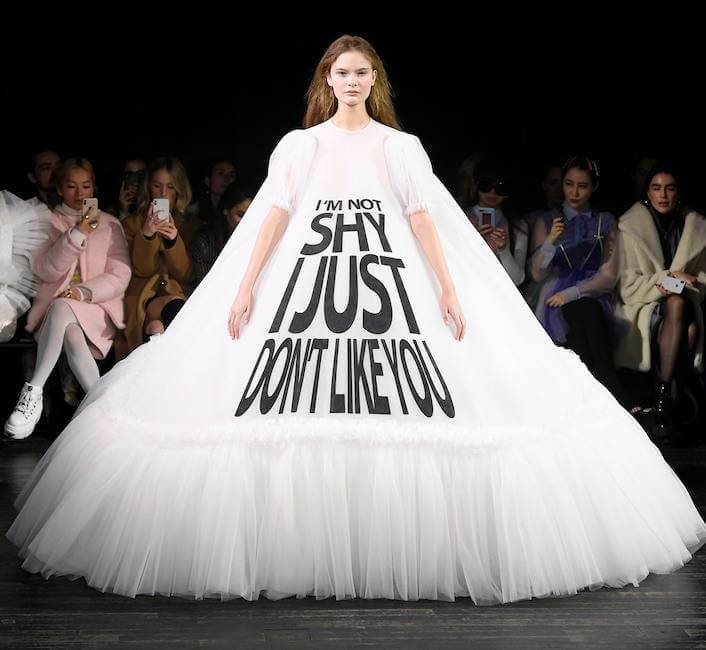 The Dutch fashion house's show featured gowns bearing messages like, "NO PHOTOS PLEASE" and "I'M NOT SHY I JUST DON'T LIKE YOU" during couture week in Paris and the gowns vent viral. 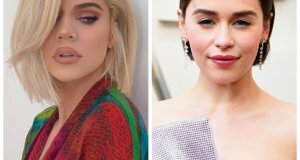 Keep on reading Nexter.org to see all of them!